Today I'd like to tell the story of two jazz singers, Maurice Frank and Wayne Powers. Both of their CDs arrived in my mailbox on the same day, sent from the same publicist in the same padded envelope. Both men look physically similar, the proverbial grey foxes, and they've both set out to sing classics from the Great American Songbook. Both CDs have love in the title. Both men are surrounded by small ensembles that are absolutely fantastic. The natural course would be to compare them, to determine how well each man accomplishes this rather common (not sure if I like that word, since very few people can pull off this task) goal. But I don't like comparisons. They each possess singular strengths that will get you in the mood for love. 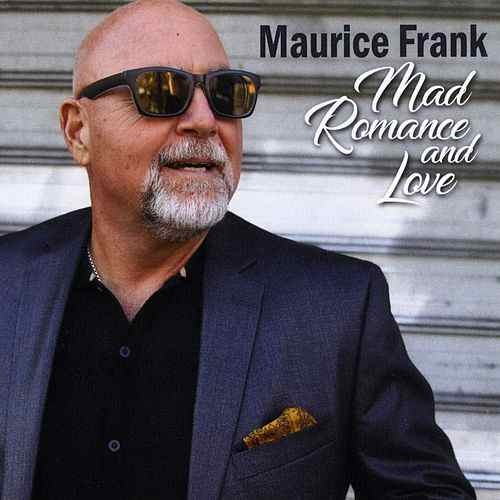 Maurice Frank is first, and he's remarkable since he's yet another singer who's been around forever but is just now getting around to releasing his first album. "Maurice Frank is a native New Yorker. He grew up listening to the great singers of the '50s and '60s and it left its mark on him." That implies Frank was one of those guys in the neighborhood. You know, the guy who had all of his friends and family saying "Have you ever heard Maurice sing jazz? He's amazing! The next time he's over, ask him to sing you something!" From looking at his photo on the cover, he seems to be one cool cat, well-dressed, wearing a beautiful suit open at the collar. He's a jazz guy, through and through. From that countenance he seems gruff, a guy who's lived jazz close to the blacktop for many decades. His voice, however, is surprisingly light and agile, bordering on that classic croon of people like Bobby Vinton or even Bobby Darin. He's not into weird jazz affectations--his voice is clear and strong and classically beautiful, full of a warm and a longing embrace of every note. His voice has that familiar warmth to it, a feeling that he looks at every word he's singing and then determines the best way to include the right emotions. He's the kind of guy you might see singing at a club, and you might wonder why you haven't heard of him already. He's a charmer. As I mentioned, his ensemble is as real and as talented as it gets. 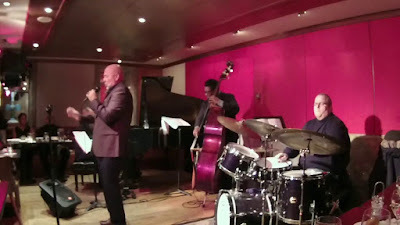 John DiMartino handles the arrangements and plays a subtle, understated piano that's matches Frank's warmth note for note. Two horn players, Eric Alexander and Aaron Heich, add plenty of excitement--they build on the energy Frank creates. Guitarist Paul Meyers, bassist Luques Curtis, drummer Obed Calvaire and percussionist Samuel Torres are pros in the best sense of the word, occasionally showing what they're made of but providing the kind of smooth support that never outshines Frank's remarkable gifts. If this sounds like the kind of music that would please you to no end, it is exactly that. This is music meant to be heard with your sweetheart, your true love. He's establishing a sublime mood, and there should be more singers like him.